MISS BIKINI INTERNATIONAL 2010 was begin from 14th to 29th May at Sanya, China. Last edited by tonywong82000 on Mon Jan 10, 2011 8:37 am, edited 4 times in total. 14th May 2010 - All contestants will arrive in Beijing (PEK). 20th May 2010 - All contestants will leave for Sanya (SYX). I like the pic of Miss kazakhstan,,,what part of the world is Tatarstan???? 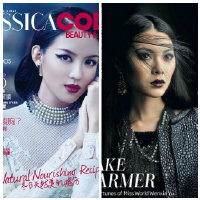 shunrey2009 wrote: I like the pic of Miss kazakhstan,,,what part of the world is Tatarstan???? I think it's in Russia. Last edited by tonywong82000 on Wed May 05, 2010 4:40 pm, edited 2 times in total. Alex Liu was very excited when he heard that the 35th Miss Bikini International will be hold in the beautiful coastal city Sanya, china. As the president of Miss Bikini International, he is very familiar with Sanya, and gives very high praise to the most beautiful island on the South Sea of China. Miss Bikini International has been held in many costal cities during the past 30 years, such as: Caribbean, Mexico Gulf and so on. However, cooperate with Sanya is the first time that Miss Bikini International hold in the beautiful costal line of China, which is Mr. Alex Liu most familiar and favorite costal city, sunshine Sanya. Miss Bikini International, simple to say, it’s just like Alex’s child, he pays fully care for all grow up stages. On the Opening ceremony of the 35th Miss Bikini International, Alex was smiling all the times that seems he has flied to the beautiful place enjoy the sunshine, beach and the brilliant competition. “The Beauty Contests are getting mature in China, holding Miss Bikini International in Sanya is what people expect. Miss Bikini International itself is highly regarded health and happiness, now has become more and more mature. Many of the previous champions have achieved a higher level career life and also the contest has received even more attention by these brilliant champions. The 33rd Miss Bikini International champion is from Slovakia, Julia Liptokova. She is the most typical successful one. Her professional modeling life has taken great changes after she got the honor of Miss Bikini International. Miss Slovakia has also been invited to join in the opening ceremony of 35th Miss Bikini International. Mr. Alex Liu told her that the contest will be hold in Sanya in May and described Sanya beautiful landscapes since she arrived at Beijing. She is quite interested to feel the atmosphere of the contest in Sanya, as that’s because of the honor of Miss Bikini International champion that makes her become an international first-class professional model, would like to experience the happiness and glory during the contest again. Mr. Alex Liu expressed her sincere welcome. 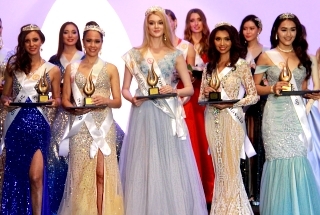 Miss Bikini is named as “the top models”, which is the consensus of the world. The requirements of all the underwear and Bikini models have very strict standards, even higher than professional fashion models. So that it raises even higher standards and requirements when the world fashion industry gives more focus on Miss Bikini International. 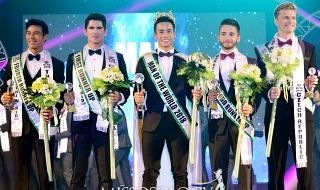 In Mr. Alex Liu’s opinion, the meaning of Miss Bikini International is manifold; express the sprite and purpose of “health, fashion, love and friendship” which are the immutable directions and goals. 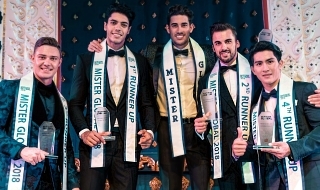 On these bases, cultivation and selection of excellent beauties for Miss Bikini International, and show the world Bikini trend on the brilliant stages are the “fashion statement” of Miss Bikini International. 14th May 2010 - Contestants arrive in Beijing, China. Last edited by tonywong82000 on Sat May 15, 2010 4:57 am, edited 1 time in total. 15th May 2010 - Visit Houhai, Beijing. Russia is represented by Anna Botova, she competed in Miss Russia 2007, was Miss Global Beauty Queen 2009 1st RU and recently won the title of Miss Runet (which means she might go to MI 2010 though I am not sure). i love Miss Russia!!! i hope she wins..
Exeperience: Miss Venezuela 2007-(Miss Elegance, Best Body TOP 10 Semifinalist) & Miss FTV 2007 in Turkey (1º RU). 18th May 2010 - Charity Dinner in Beijing. Last edited by tonywong82000 on Sat May 29, 2010 4:43 pm, edited 1 time in total.